Offering broadcast quality UHD and Full HD capability into a handheld, lightweight body with a 1.0-Type CMOS sensor, a 15x 4K zoom lens and Dual Pixel CMOS AF, the XF400 produces outstanding clarity and sharpness. 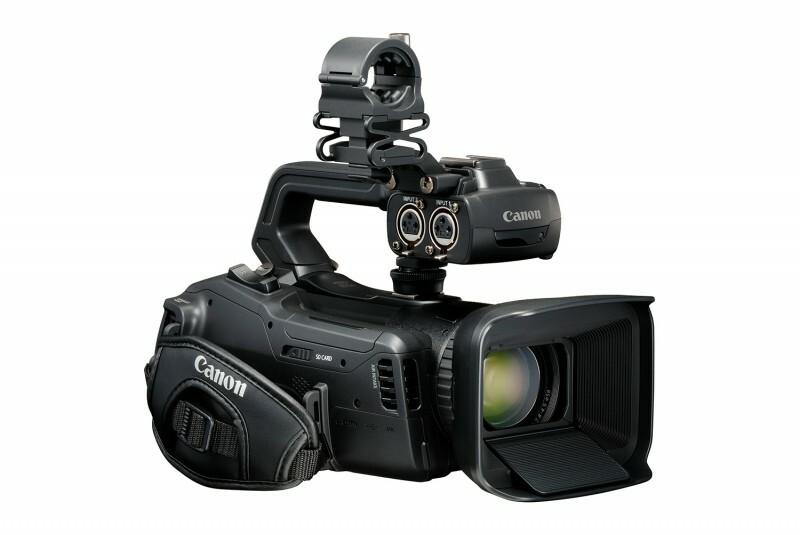 With the addition of a 100P high frame rate and network capability for FTP transfer and remote control, this camcorder is ideal for newsgathering, documentary or corporate use. The XF400 supports UHD/50P MP4 and XF-AVC format (150Mbps) recording along with additional XF-AVC support coming via a firmware update in 2018. 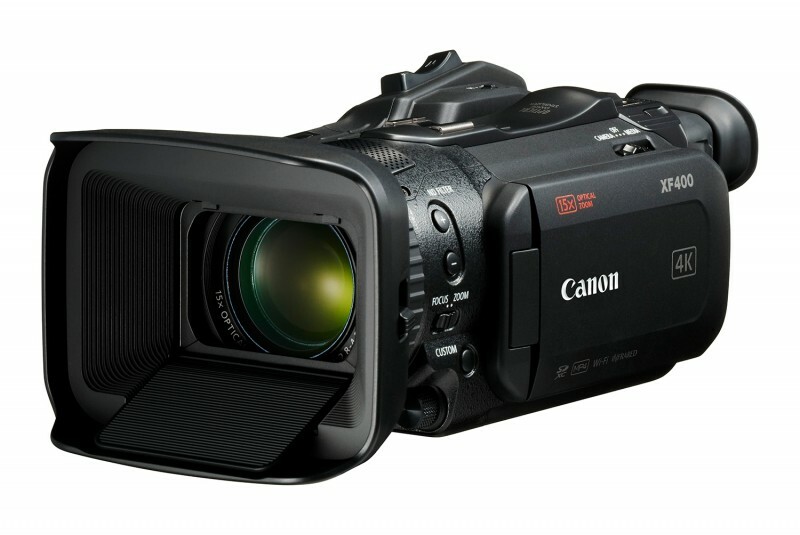 The XF400 offers 100P high frame rate recording, which brings stunning slow motion in Full HD. The combination of 1.0-Type CMOS sensor and dual DIGIC DV6 offers high image quality footage with clarity and detail with outstanding high sensitivity and low noise. “Wide DR” mode enables the user to shoot with an 800% wide dynamic range providing details in mid to high tone. A newly developed 4K lens for 1.0 -Type CMOS sensor, using Super UD elements which minimise chromic aberration. The XF400 features an ultra-wide 25.5mm along with high magnification 15x optical zoom in 4K. A 30x Advanced Zoom capability in Full HD mode without image deterioration. A 9-blade iris diaphragm allows the operator to shoot beautiful and natural ’bokeh’. 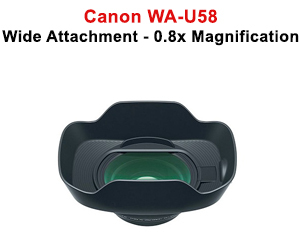 An advanced 5 axis Image Stabilizer helps to reduce image distortion. XF400 features three built-in optical density (ND) filters of 1/4, 1/16 and 1/64 (2, 4 and 6 stops). 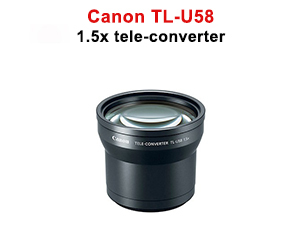 A 0.8x Wide angle and 1.5x tele-converter for additional flexibility and coverage in 4K and Full HD. The XF400 offers Dual Pixel CMOS AF, fast and accurate autofocusing in area of approx. 80% (vertically) x 80% (horizontally) of the image. The XF400 touch screen allows focus control and camera operation for an intuitive operation. Various AF options are offered including Face Priority AF and Face Only AF. The innovative Dual Pixel Focus Guide supports manual focus shooting by telling the focus position visually. Compact in size, lightweight and fully featured, the XF400 can meet a wide range of individual needs. The XF400 features an Infrared Mode allowing users to capture video in conditions with little to no ambient light. 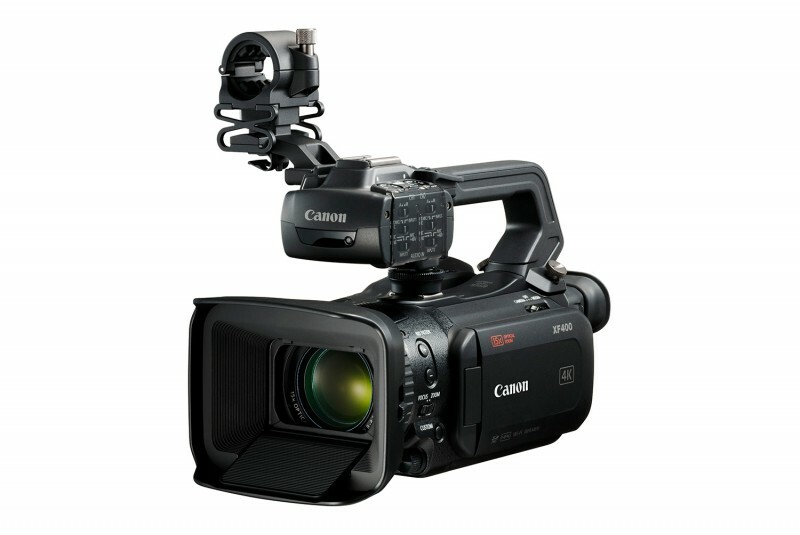 With Dual SD card slots the XF400 can record simultaneously to each of the two SD cards, providing an instant backup. With relay recording, the camera automatically switches recording from one SD card to the other when the first memory card becomes full. 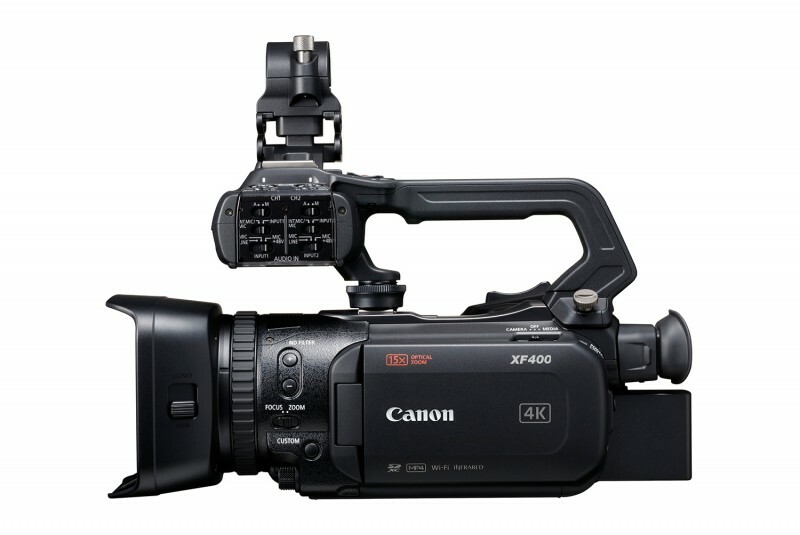 Variety of connectivity options feature on the XF400, including 3G-SDI (A model only), HDMI and two XLRs on the detachable handle. Flexible and high quality linear PCM 4ch audio is supported. Five assignable buttons on the XF400 body provide a convenient way to set up the camera to individual requirements and to customise control based on user preference. Remote operation of the XF400 is possible with the Canon Remote Controller RC-V100, allowing users to operate from a distance.